We would like to thank everyone who purchased tickets for this production for being patient and understanding during this time. As we are sure you will appreciate, to reschedule this show took Alterean Media Limited (The producers) time to arrange this but we are now happy to announce the rescheduled dates of Wednesday 5th to Saturday 29th September will now go ahead and we will be sending out your new tickets over the next few weeks and this will be exchanged on a week for week basis. 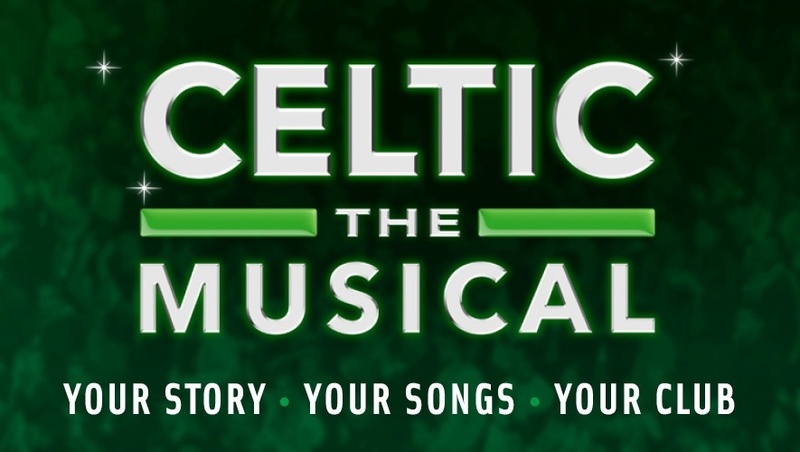 Featuring the songs that have rung round Celtic Park over the years (performed by a live band), the show tells the amazing story of this legendary club. It takes audiences on an emotion-charged journey from the foundation of the football club by Brother Walfrid and its charitable origins through Willie Maley’s legendary successes as manager and the scoring feats of Jimmy McGrory. From the wing wizardry of Jimmy Johnstone to the triumphs of the immortal Jock Stein and the lasting legacy left by icons such as Billy McNeill, Tommy Burns and Henrik Larsson. The show will be updated to bring us right up to Brendan Rodgers and his all conquering team. We are sorry but we cannot publish date swap comments for this show. Fantastic, took my Mother and we had a great time, well done. That good we tried to get tickets to go again but sold out. Loved it! Quite emotional at some points but just loved it all! Hoping it comes back next year and get the family booked up. My missus isn’t into football that much and when i go to hers at the weekend shes fine i we both listen it on the radio via the TV. Shes turned out to be my lucky charm when we play the dark side of Glasgow. She knows some of the songs and weve never really went to a show before so i thought this would be a great birthday prezzie for her. Shed enjoy the show if i did too so thats a bonus. Hope i can get a pair for next month. Hail Hail. Son took me as a wee treat on 6th September show and a treat it was. Didn’t believe how emotional it made you feel highlighting some of Celtics great from the beginning to the present day. Very funny also cst was brilliant. The Show and story is brilliant. Thanks for sorting our new dates out. Cant wait for this one. Fab wee story taking you through the history of the famous Glasgow Celtic. 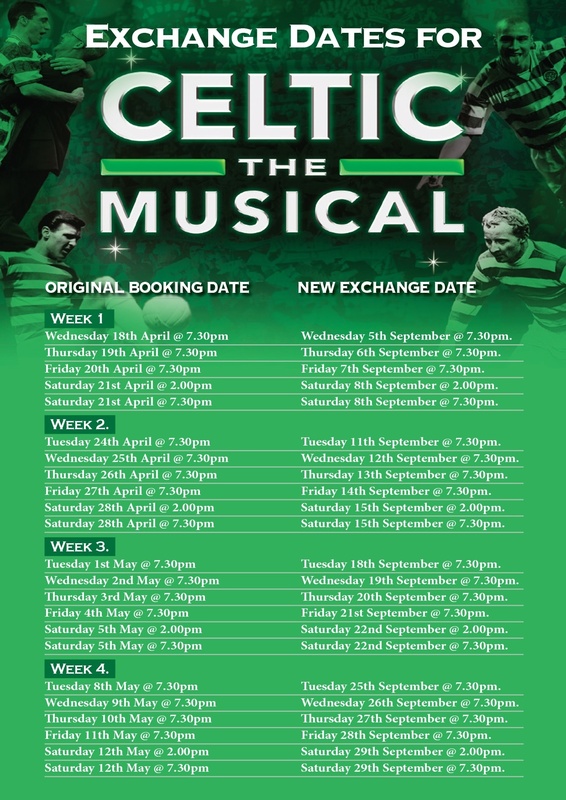 If you are an ardent Celtic fan this is a must see show for you and if you are not you will still love it; brilliant actors and fantastic band with songs we all know and love – – audience participation is encouraged. Thoroughly enjoyed the show and hoping to come back and see it again this year. Don’t miss it as tickets sold out fast last time it was here. You’ll never walk alone going to the Pavilion to see this Wonderful show. 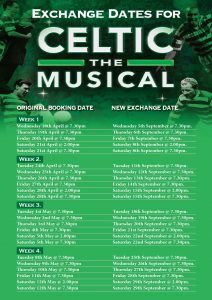 Book now and enjoy a Champion night with a choir of Bhoys and Ghirls singing the songs of yours and mine ! Come on the hoops . HAIL HAIL. Seen it last year, well worth going too, take your singing voice along we ye. I saw the Ist show in Dublin. HAIL HAIL.